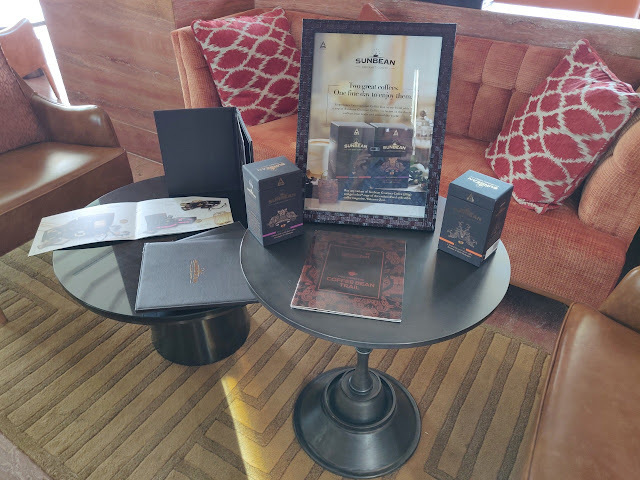 International Coffee Day had just gone by and I was back in Hyderabad after a long vacation in Kolkata when I received this invite to attend a media briefing session of gourmet coffee from ITC Foods. The session was organized at Skypoint, the rooftop watering hole of the newly launched ITC Kohenur. On the appointed afternoon, I along with some media and blogger friends assembled at the outlet to try out the products. At the outset, I must confess that I am no expert on coffee. 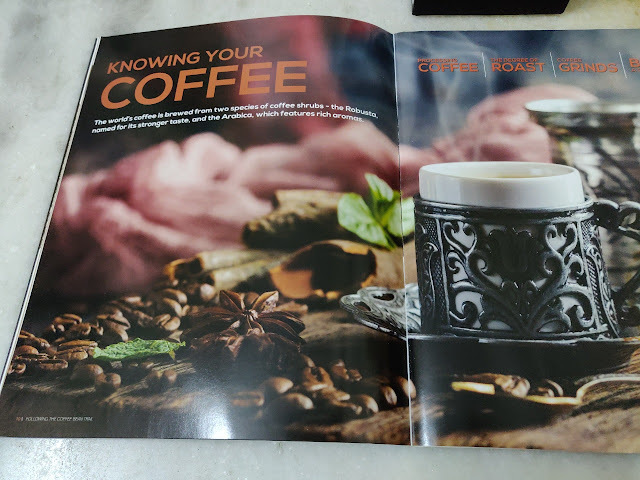 I like a cuppa but have failed to keep up to the advancements in using the beans in various ways, preparing hot and cold brew and even cocktails. The little knowledge that I have is courtesy attending the sessions of coffee tasting conducted by the effervescent Nishant Sinha from Roastery Coffee House in Hyderabad, clearly one of the most knowledgeable persons about coffee in the city. But a bad student that I am, I could pick up only a little bit of what was discussed. 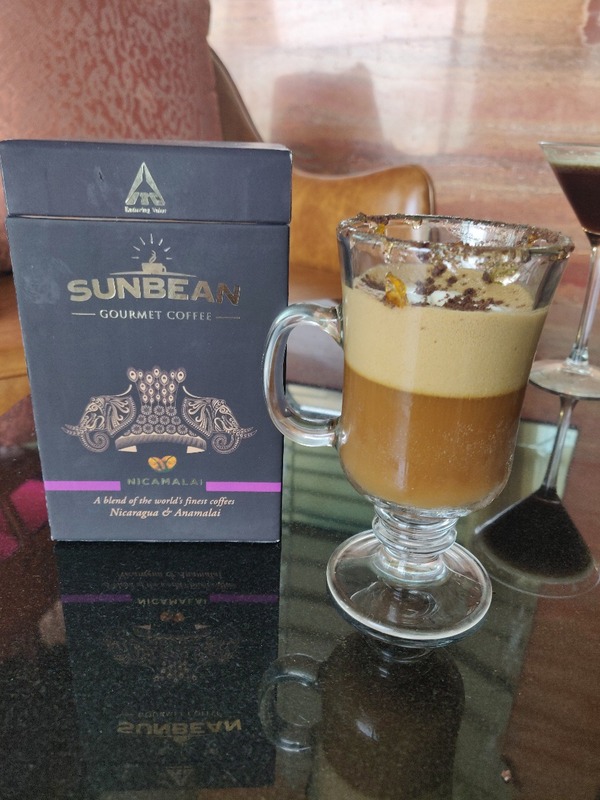 Against this backdrop, here I was at this tasting session of Sunbean Coffee. It was explained to us that the product comes in two variants – Nicamalai and Panagiri. 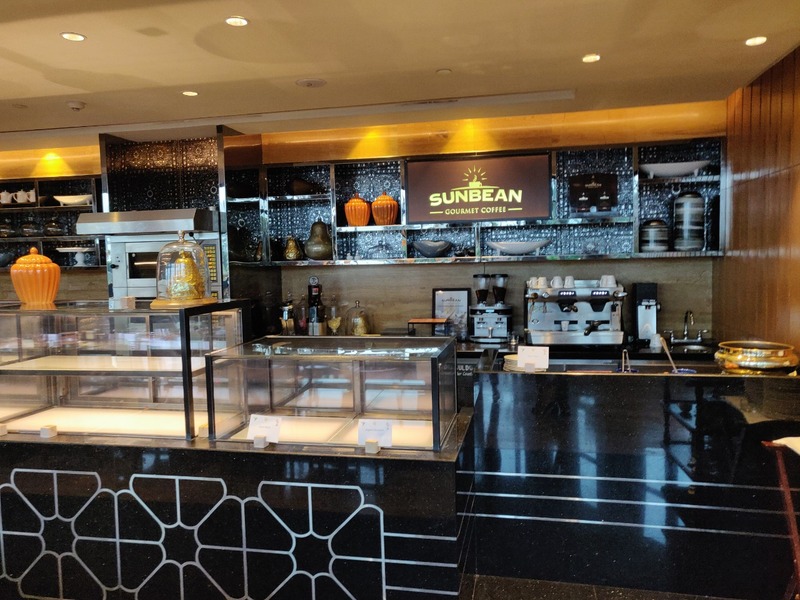 Both are blended coffees – Nicamalai has selected beans from Nicaragua and Anamalai in Tamil Nadu, whereas Panagiri has beans from Panama and Baba Budangiri, a place where a saint Baba Budan from Yemen had cultivated the Arabic coffee beans he brought from Yemen. In fact, he is credited with bringing coffee beans for the first time to our country. To showcase the two variants from Sunbean, we were offered four preparations, two each from Nicamalai and Panagiri. The first called “Nicamalai Sparkling Haze” had chilled espresso with sparkling water and hazelnut syrup. Though the flavours were nice, the concoction was sweet, in fact, the sweetness overpowered the tastebuds. The other “Nicamalai Equinox” was blended with orange marmalade and caramel syrup producing a much more balanced taste, which I really liked. 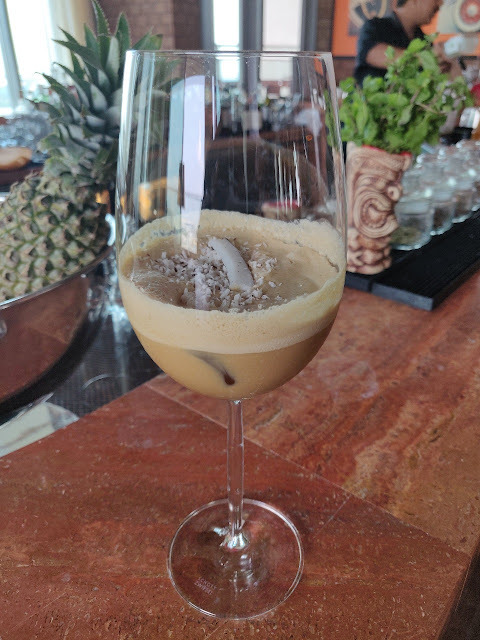 “Panagiri Vietnamese Iced Coffee” was served in a tall glass containing condensed milk, espresso, with chocolate cigarillo dissolved in it. It was topped with whipped cream and cocoa powder. 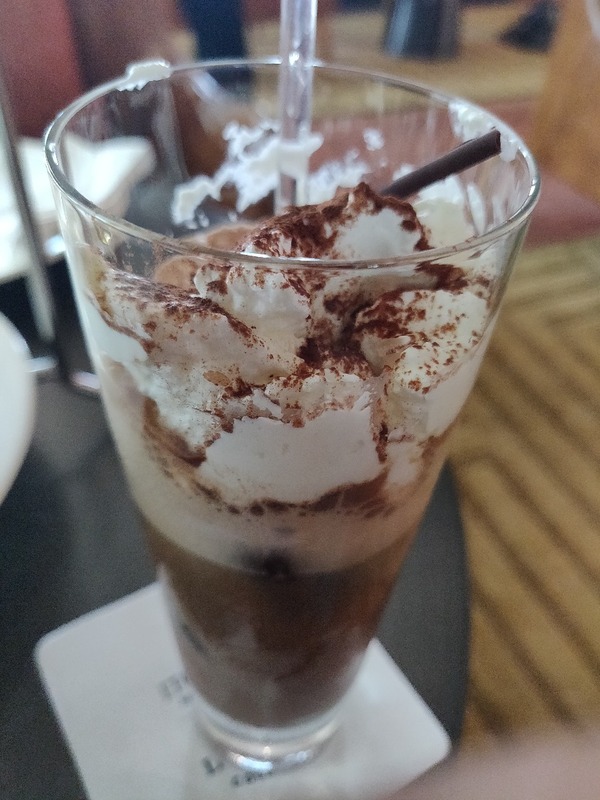 The chocolate-laden drink was extremely palatable, with robust flavours. One I can recommend safely. The last drink of the day was “Panagiri Tropicafe” with coconut cream and coconut strips in it. 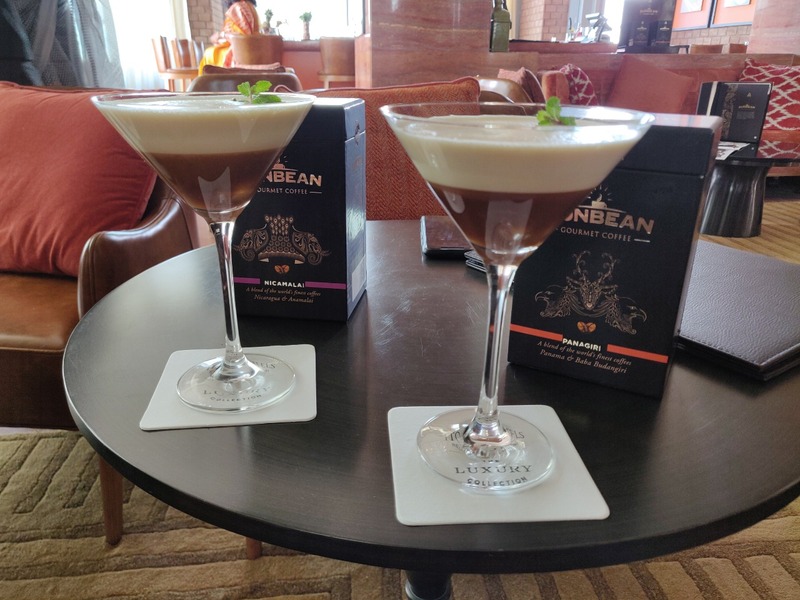 The combination of coffee and coconut seemed to be a marriage of the opposites and could appeal to serious coffee drinkers. A mention must be made about the short eats served with the coffee, the chicken spring rolls and the macaroons stood out among them. 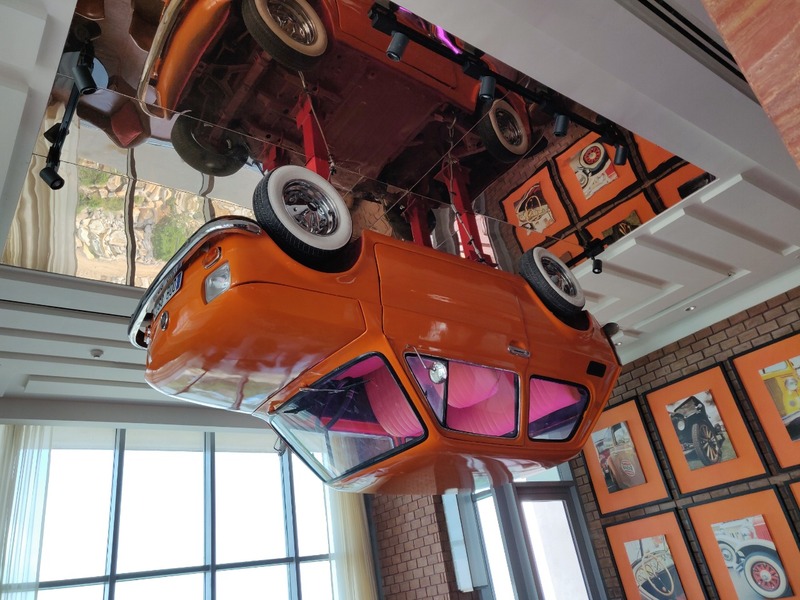 Also, this was my first visit to Skypoint at ITC Kohenur, a classily designed bar with an inverted car on the ceiling, and indoor as well as a breezy outdoor seating space. A major takeaway from the session was a book presented to us. Titled “Following the Coffee Bean Trail” it has interesting details on various aspects of coffee production and drinking. The last section even has a few recipes using Sunbean Coffee. 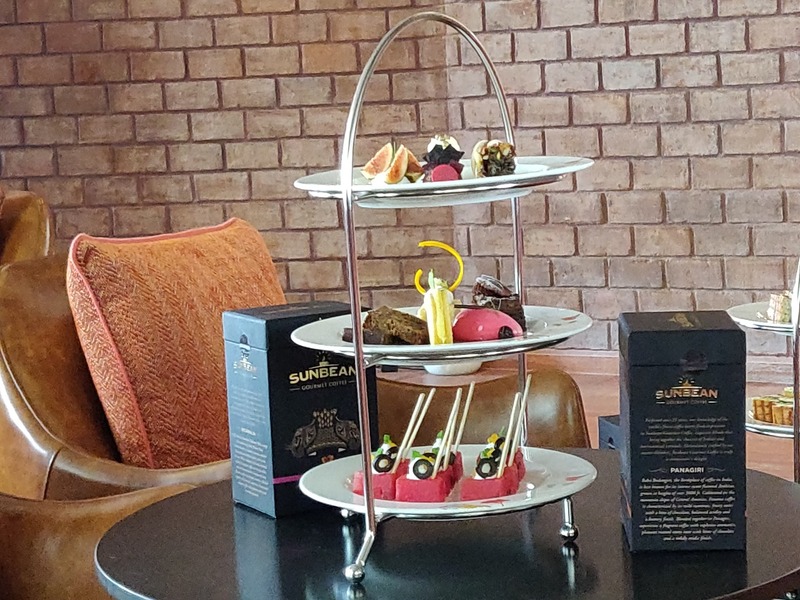 All these preparations are available at the coffee shops of ITC Hotels across India. Both the coffee versions definitely deserve a look in especially by serious coffee aficionados. My humble opinion is that both should work well if prepared in a traditional style too. These roasted coffee beans are also available in the market, at a price of Rs 800 for 200 grams.